Debit card network Eftpos Australia has announced a five year deal with NFC technology provider C-Sam and plans to begin mobile payment trials “with selected retailers in the next few months”. C‐Sam’s platform will enable Eftpos to offer smartphone users a comprehensive mobile wallet for conducting NFC payments and other value‐added services, such as offers, loyalty and electronic receipts, the network says. 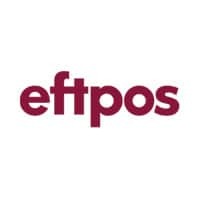 “After almost 30 years in the market as Australia’s most used payment card network at the point of sale, Eftpos is now looking at new ways to pay,” says CEO Bruce Mansfield. “This agreement will enable Eftpos to move into proof-of-concept trials very quickly, to test various solutions for the Australian market. “We want to make sure that any new technology that we offer on mobile devices is going to provide financial institutions, retailers and consumers with secure, accessible and affordable payment solutions that they have come to expect from Eftpos.